CUT produces a variety of micro- and ultra-filtration membranes and modules in Erkrath near Düsseldorf. With special attention on customized and optimized process engineering solutions that will meet your specific requirements. CUT filtration modules – Made in Germany, used throughout the world. The T-CUT Core tubular module has proven effective for juice clarification. The large membrane cross-section makes it ideally suited for the filtration of liquids with a high solids content. The pore sizes in our ultrafiltration membranes are specifically designed for each separation task: solids, colloids and micro-organisms are removed, leaving the juice’s valuable ingredients, its colour and aromas remain unchanged in the filtrate. A high concentration of trub can deposit on the surface of the filtration membrane which can block the pores and obstruct the filtrate flow. Our polymer membrane prevents accumulation of substances and allows for easy removal. 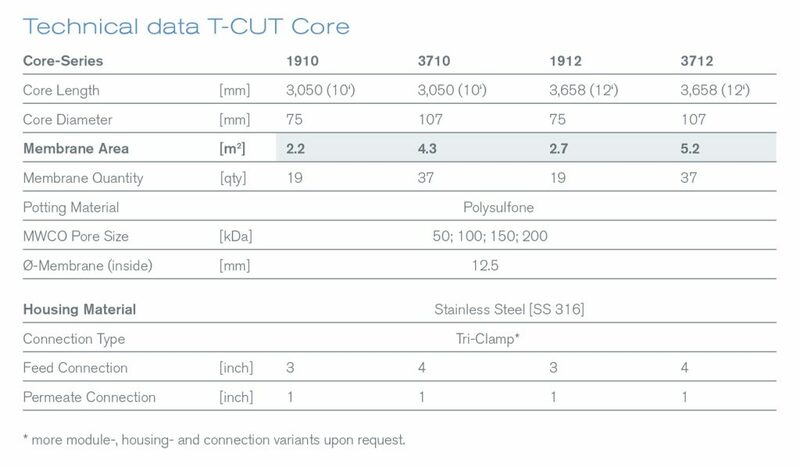 Further benefits of the new T-CUT Core Tubular Module. CUT Membrane Technology has expanded their range of products with a new replaceable membrane set. 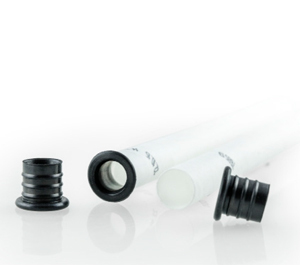 The T-CUT set consists of single membrane tubes and their associated seals, which enable cost-effective replacements to be fitted in your module. A standard T-CUT set consists of 18 tubular membranes and 36 seals. This is ideally suited for use as cost effective replacements in current modules. 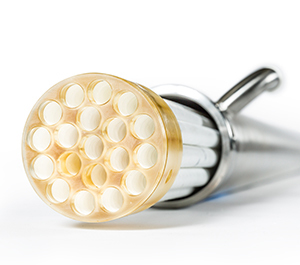 Other sets with different membrane materials and number of tubular membranes in the core (or insert) – including customized designs – are available. 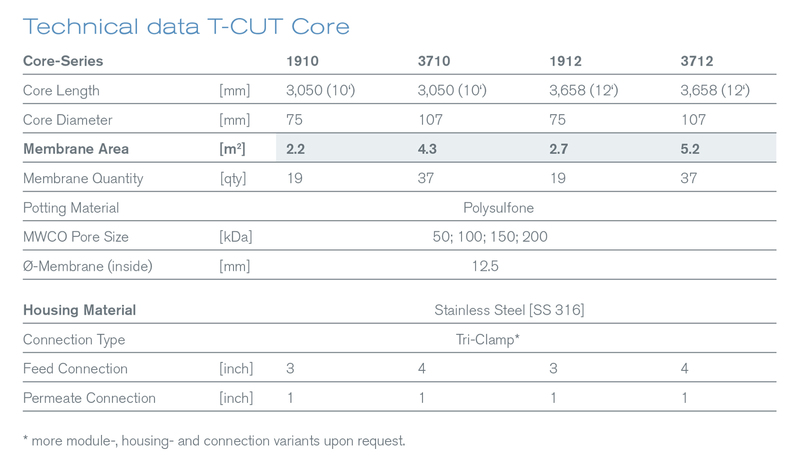 The T-CUT Set is produced in three standard lengths: 1,220 mm, 2,440mm and 3,660 mm. Our tubular membranes are made from PES or PVDF and supported with a highly-stable non-woven fabric. This provides a robust, thermally and chemically stable membrane for food and beverage applications. 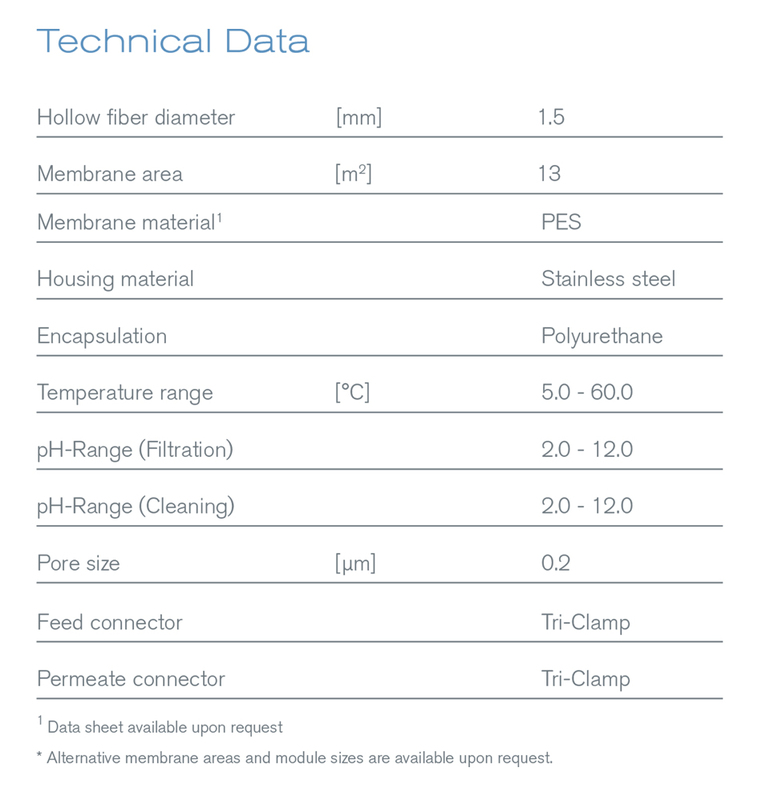 You will find the membrane areas listed in the accompanying table. 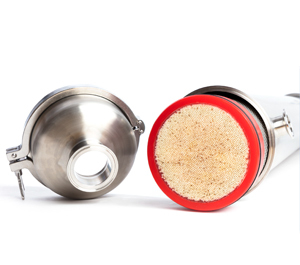 With the C-CUT capillary module, a high-quality micro-filtration module was developed especially for wine filtration. The C-CUT Core hollow fiber series provides a high filtrate performance and a safe use in the application. Through the high chemical, mechanical and thermal resistance, there is the possibility of chemical and mechanical cleaning including backflushings. The necessary material Declarations of Conformity for the food industry (FDA) support the quality assurance in your filtration process.